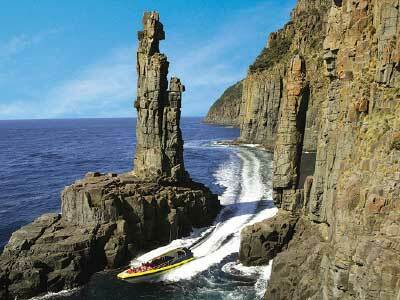 Discover the natural beauty of Bruny Island, abundant with wildlife, superb beaches and magnificent landscape! Separated by the D’Entrecasteaux Channel off the south east coast of Tasmania, the island is actually two land masses joined by a long, narrow, sandy isthmus. Here you can experience the ultimate wilderness adventure especially on the water with an eco-cruise exploring the stunning coastline.